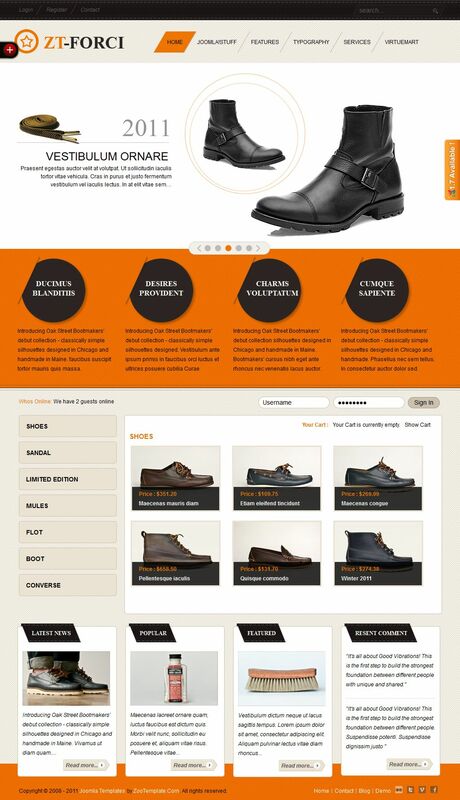 ZT Forci - new quality online shoe shop for Joomla sites from the popular studio ZooTemplate. Through the use of extension JV Headline This template allows you to display their products directly in the center of the site and built-in utility ZT Color Tools is able to completely change the color scheme and style of the site, giving it a unique appearance. Using additional modules to provide the VirtueMart component demonstration of certain categories of goods, greatly increasing the functionality of the template.